The Lord has often spoken to me thru experiences, people, objects and His creation. The key to hearing His voice is being available to slow down and listen. He is always speaking, the question is, are we listening? Recently, Gail and I had a once in a lifetime experience riding together. 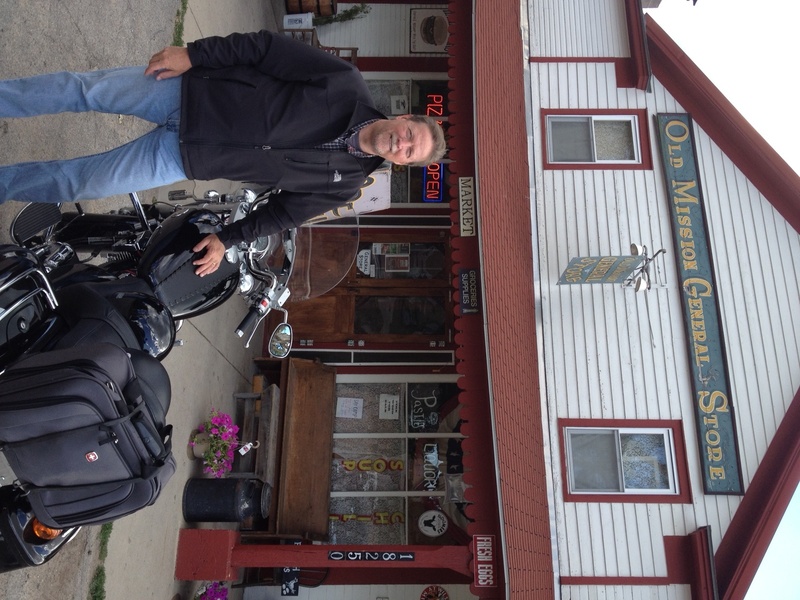 After a long days work, Gail suggested we go for a motorcycle ride. Well I’m always eager to do that, especially when she suggests it. 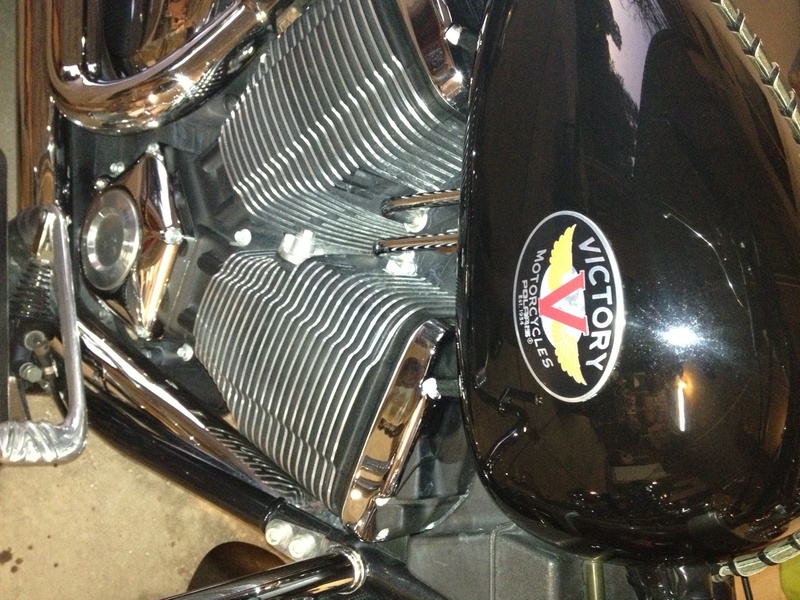 We ride a “Victory” motorcycle which is powered by a 92 cubic inch, 1500cc “Freedom” engine.For some of you that may not be very interesting but, I love the fact that the motorcycle company is named “Victory” and the engine is called “Freedom”. Every time I get on the bike I’m reminded of my daily “victory” in Christ and the continual “freedom” from sin that He has provided. So, God speaks to me even thru a motorcycle. We decided to take a route, one that we had never taken before. We wanted to go as far on a local road as it would take us. So we took off down Ten Mile road, heading east. Eventually the road ended and we needed to decide to turn right or left. The road right had loose gravel so we turned left. As we cleared the crest of a hill, I looked to my left and there on the side of the road was a Bald Eagle. We were startled and amazed and so was the Eagle! The Eagle immediately launched into flight and flew right towards my head. He adjusted his flight just grazing my wind shield and leveled off at eye level right next to us for several seconds cruzing about 35 miles p/hr. During those moments we (The Eagle and I)actually made eye contact. It was then that I realized God was speaking, and I needed to listen,and then the Eagle glided off to the left lifting up over the trees and into the setting sun. Gail and I came to a stop sign and just sat there for awhile reflecting on what just happened. After the thrill of the moment and the adrenaline settled down, we headed home, not the same, but changed and eager to hear what the Lord has in store for us thru this experience. We had just concluded a solid week of meetings with our friends from every corner of the globe. During those meetings we were so encouraged to see the message of life be fully embraced by global movement church leaders and hear their committment to carry the message around the world. We saw before our eyes the dream of LIFE International being fulfilled. The global life-giving message was actually taking fight. This was God fulfilling His promise to reach the world for life through our obedience no matter how impossible it seemed. People have reminded me over and over again that what I’m trying to accomplish is not reasonable, let alone possible. But, we believe God is able! When the Eagle looked into my eyes I was strengthened to believe that the message will go forth, Truth will prevail, and Life will emerge globally. This experience pointed me to a classic passage of scripture, Isaiah 40:28-31. This passage speaks so profoundly about mans weakness and Gods strength. When ever we get tired and weary in this ministry, we need to remember the one who never tires and never grows weary. He is able, and we are not, and every once in awhile He sends us reminders of that truth. In Him we have Victory, Freedom and Hope that comes like an Eagle when we least expect it. Because of Him we will not tire, grow weary and become faint. Rather, we will soar on Eagles wings. Either this scripture is true or it is not. Believe this truth with me and together we will experience the reality of God’s power! We will be strengthened. We will be renewed. We will soar like Eagles! Thank you!! A fantastic reminder of how to live.